…is a unique educational fantasy novel for ages 9 and up. 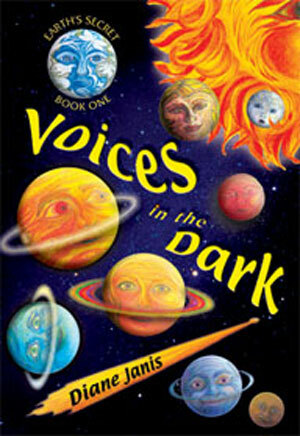 Voices in the Dark uses children’s love of mystery and astronomy to keep science concepts in grades 4 – 6 exciting while creating a fun reading and learning experience that encourages environmental awareness, problem solving, and a positive attitude. Read more. …is a one-of-a-kind, intercurricular teaching tool. When used with the novel-coordinated supplemental materials, Voices in the Dark transforms into a valuable literary resource that shows connections between all subjects in the curriculum. The fun activities and lessons create enthusiasm about learning through the use of characters, events, astronomy, science, and environmental topics from this one-of-a-kind fantasy novel! Read more about the supplemental materials. 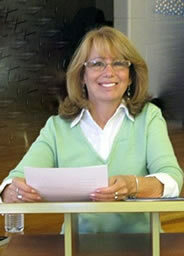 Diane Janis has also written and illustrated THE COSMIC FAMILY, which can be enjoyed by children of all ages. Diane Janis, author, illustrator, educator, presenter and creator of Earth’s Secret, is currently available for classroom visits and author assemblies. It is an educational, entertaining and motivational experience for everyone! Read More about Author Visits. Visit us on Facebook… We donate books to hospitalized children when people LIKE our page.